By the peak of the chain, they had 13 locations. With WWII, the chain wound down. 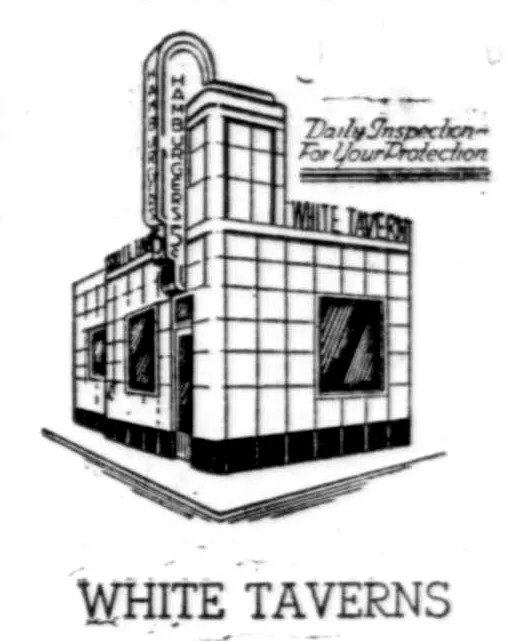 In 1946, Lederer opened the first of what would become a chain of Jerry’s Restaurants. 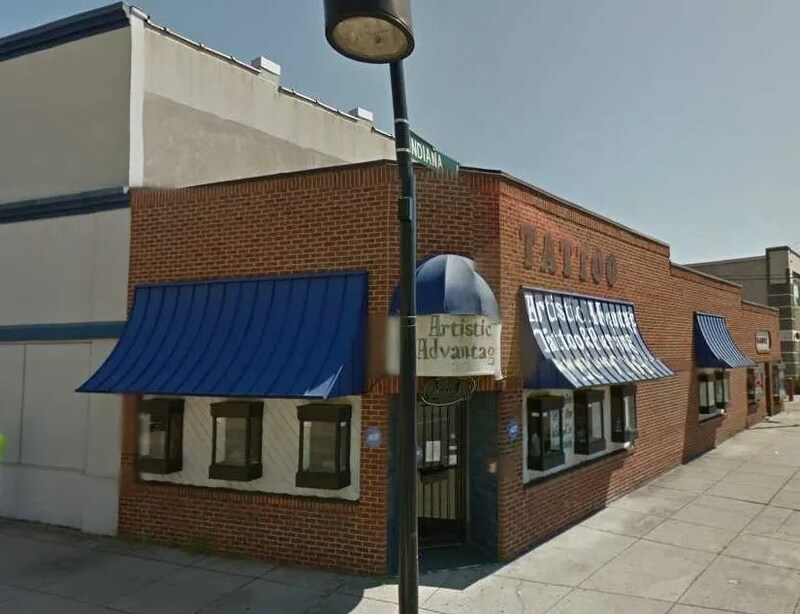 After Lederer’s death in 1963, his restaurant’s manager, Warren Rosenthal took control of the operation, going on to found Long John Silvers under the corporate umbrella. 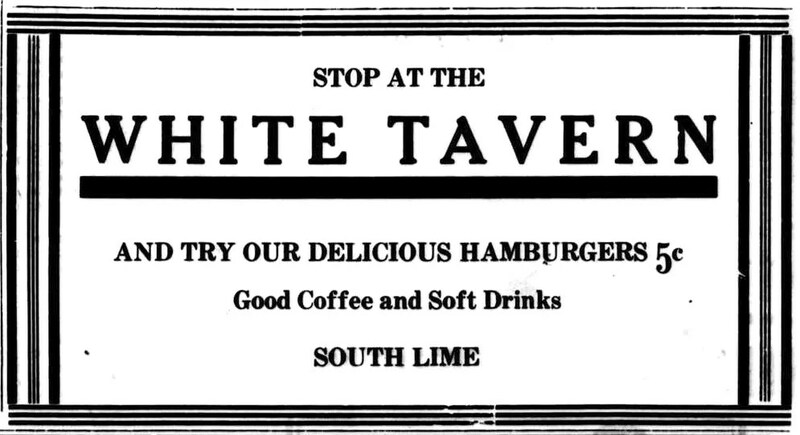 The name “White Tavern” combined the names of two hamburger chains popular in Kentucky at the time, Little Tavern Shops, and White Castle. The slogan “Buy a Bagful” is the exact same as that used by White Tower, and mirrors Little Tavern’s of “Buy ’em By The Bag” and White Castle’s of “Buy ’em by the Sack”. 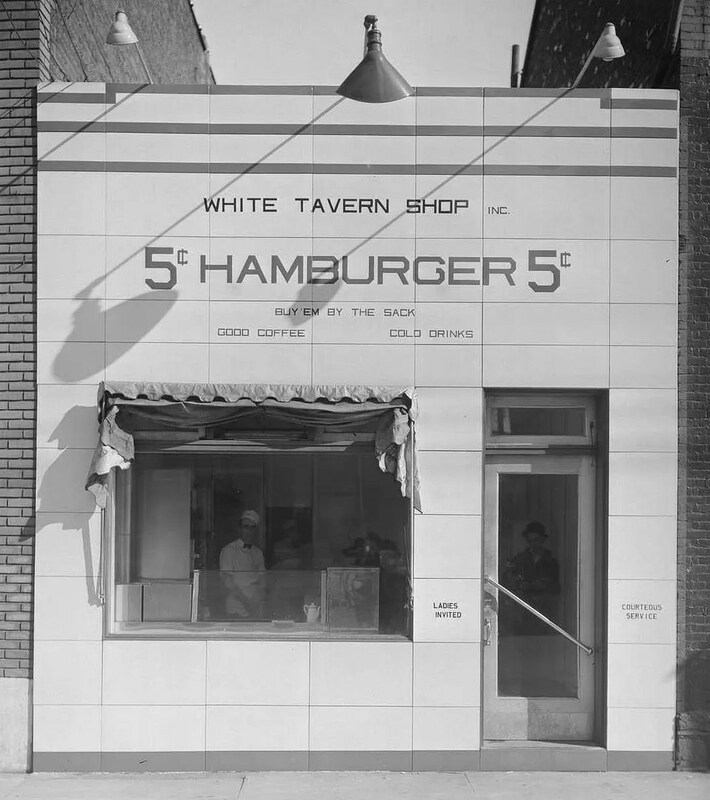 518 West Main Street, Lexington, KY. Later the “Jerry Freez” ice cream stand was opened next door. More good work from The Diner Hunter. 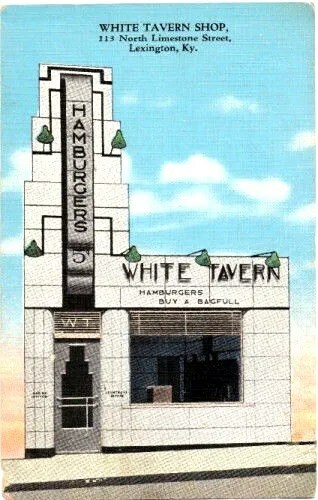 wonderful bit of diner history! great work Dinerman!